We’re all about Roofer Craftsmanship… With a high-tech roofer twist. More so, at the end of the day, the guy who’s actually on the roof doing the work has to be really, really good at what he does for a roofing job to be successful. Furthermore, is why it’s sad that many roofing companies in Carefree, Cave Creek Fountain Hills, Paradise Valley, Scottsdale and Phoenix ruthlessly cut costs by hiring the cheapest roofer they can find. They yank them in off Home Depot corners and pay them peanuts. That’s a huge mistake. Hence, at Triangle Roofing Company, our “on-the-roof” roofers are our most important asset. We train them continuously so they know our systems and can perform to our strict standards. They attend company-wide Total Quality meetings to review problems and learn solutions for continues improvement that provide our client with a superior experience and roofing contractor solution. You might think that roofers hate being roofers. 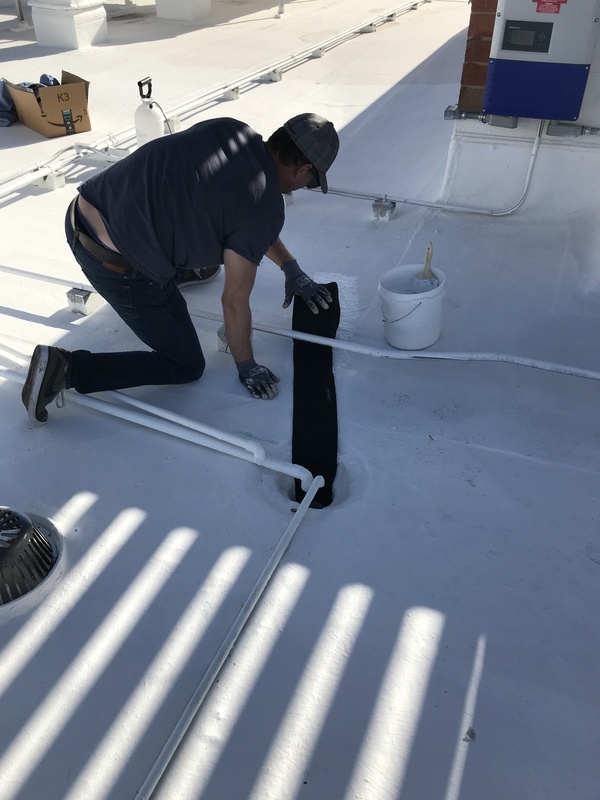 But despite the long days and hot Arizona sun, roofing is only a thankless job for roofers who work for roofing contractors that don’t put any effort into appreciating and rewarding them. Triangle’s roofers love working for our proven Scottsdale roofing companies. Because they’re compensated well, they’re treated well, and they know they’re making a difference. We put our roofers in an environment where they can thrive… and hold onto them for dear life! We give them time to do the job right instead of rushing them from job to job to job. We make sure they have the right tools and right training for any given job. And we give them the security of knowing that we’ll keep using them over and over because we value their skills and attitude. We pay them well and we treat them well. And they do fantastic work. Upward mobility is also key; almost all of our foreman and supervisor level workers have risen through the ranks to take on important positions. In short, we treat roofers like they are somebody… because to us, they’re the most important employees in the company. Roofer near me: Carefree, Cave Creek Fountain Hills, Paradise Valley, Scottsdale and Phoenix. With a keen eye laser focused on the job at hand, our dedicated craftsmanship roofer near me, work endlessly to ensure that their work is perfect. Trained in the techniques known only to Triangle Roofing Company (also known as the roofer near me) our craftsmanship roofers, use them as their “Roofer Near Me” Bible to ensure you get a quality roof every time. Our master craftsman roofers take their craft to heart and have become the most recognized craftsmanship roofer near me, in the industry. Just take a look at all our awards and see for yourself that even the experts in the industry cannot deny our superior craftsmanship. But Wait, What About Our Products? Coco Chanel would never make a designer dress out of cheap fabric. Michelangelo would never use finger-paint to decorate the Sistine Chapel. Triangle Roofing would never use cheap or inferior products to apply on our roofs. Being craftsmen in the industry we realize that quality does not stop at craftsmanship. Finally, we make sure that the products we choose for your roofing needs are at their finest. Do not let our designer status confuse you into thinking we are beyond your budget. After all, not everyone can afford a designer dress or famous art nor could they afford a new roof every few years.